DISGRACED OLYMPIC BOXER Michael O’Reilly has formally lodged an appeal against his provisional suspension for failing a doping test before the Rio Games. The 23-year-old middleweight fighter now faces an anxious wait as his Olympic hopes hinge on the outcome of an appeal to be heard by a Sport Ireland Anti-Doping disciplinary panel. Sport Ireland has been informed of O’Reilly’s intention to appeal his provisional ban but it’s not yet known when the hearing into the case will take place. The Irish Independent reports that the hearing may not take place before his scheduled Olympic opener on Friday, with O’Reilly also fighting to save his boxing career as he faces the prospect of a two-year ban. O’Reilly was informed of the alleged anti-doping violation on Thursday morning and the Irish Athletic Boxing Association (IABA) later confirmed his temporary suspension, meaning he is not eligible to train with the team. O’Reilly has remained in the Athlete’s Village but is no longer staying in the Team Ireland block. 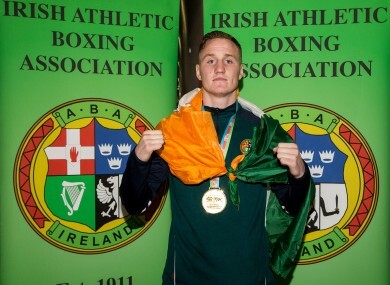 The Portlaoise boxer, who won gold at the inaugural European Games in Baku last year and bronze at the world championships, was given a bye into the second round, where he was due to fight either Misael Rodriguez and Waheed Karaawi on 12 August. Email “Michael O'Reilly lodges appeal against provisional suspension for failed doping test”. Feedback on “Michael O'Reilly lodges appeal against provisional suspension for failed doping test”.